So I recently wrote an article for OMFG about dressing to flatter your figure. And how, for me, it's way less about fashion and much more about looking great in clothes that show off my goods while masking my not-so-goods. Enter Whirling Turban. These guys make dresses to your measurements. Talk about flattering. Hand-tailored dresses? Bringing back Hollywood glamour? Sign me up please. 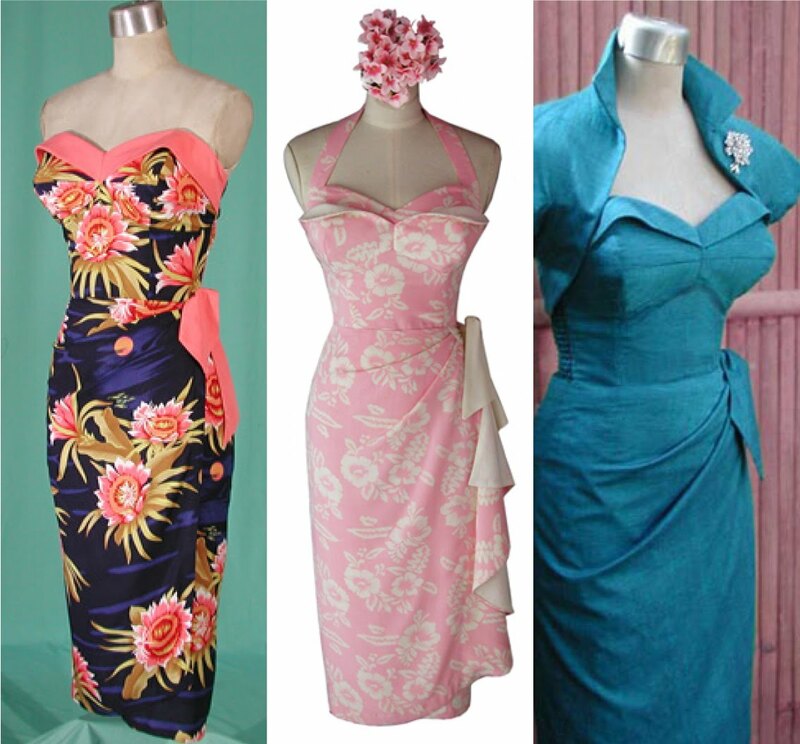 You can pick your fabric [even send in your own] and then your neckline, skirt etc. They even do wedding dresses! 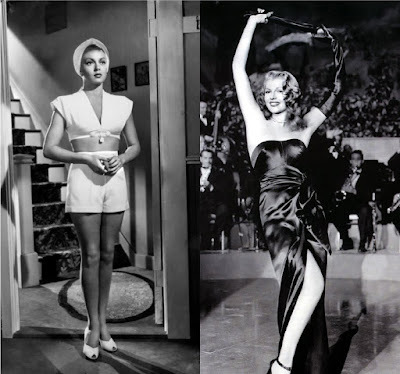 I've always wanted a super tailored screen siren gown ala Rita Hayworth in Gilda. Or better yet a shorts and top combo like Lana Turner in The Postman Always Rings Twice. Now I can have my cake, eat it too, and still look fab in a svelte ensemble made just for me. 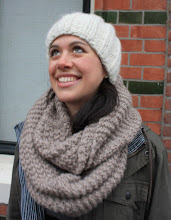 Check out their site for styles and fabrics and their new ready-to-wear collection! See below for some of my faves.